Antibiotic prophylaxis for heart patients. Mouth Healthy—American Dental Association website. Available at: http://www.mouthhealthy.org/en/az-topics/a/premedication-or-antibiotics. Accessed September 12, 2017. Infective endocarditis. EBSCO DynaMed Plus website. Available at: http://www.dynamed.com/topics/dmp~AN~T113919/Infective-endocarditis . Updated August 9, 2017. Accessed September 12, 2017. Mitral valve prolapse (MVP). EBSCO DynaMed Plus website. 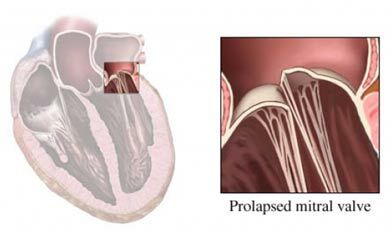 Available at: http://www.dynamed.com/topics/dmp~AN~T115929/Mitral-valve-prolapse-MVP . Updated May 31, 2017. Accessed September 12, 2017.